University of Nevada Press, 9780874178708, 216pp. California’s Santa Clara Valley was once home to a vigorous wine industry. 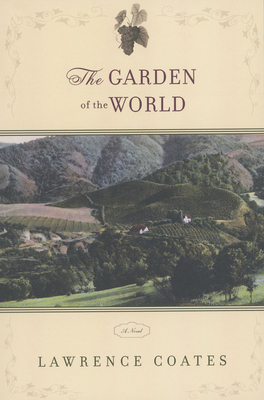 The Garden of the World is the tale of a pioneer winemaking family headed by Paul Tourneau, a fiercely ambitious vintner determined to make the finest wines in California. His plans are disrupted by a phylloxera epidemic at the beginning of the twentieth century, the trials of national Prohibition, and the bitter alienation of his older son. Played out against the vividly depicted seasonal rhythms of vineyard life, this is a moving saga of betrayal, loss, and the harsh consequences of unbreakable ambition. Lawrence Coates is an associate professor of creative writing at Bowling Green State University. He has published numerous short stories and two other novels, "The Blossom Festival" and "The Master of Monterey," both with the University of Nevada Press.